In 1809, Nicholas Northmoor fell madly in love with and became betrothed to Catherine Beaufort. 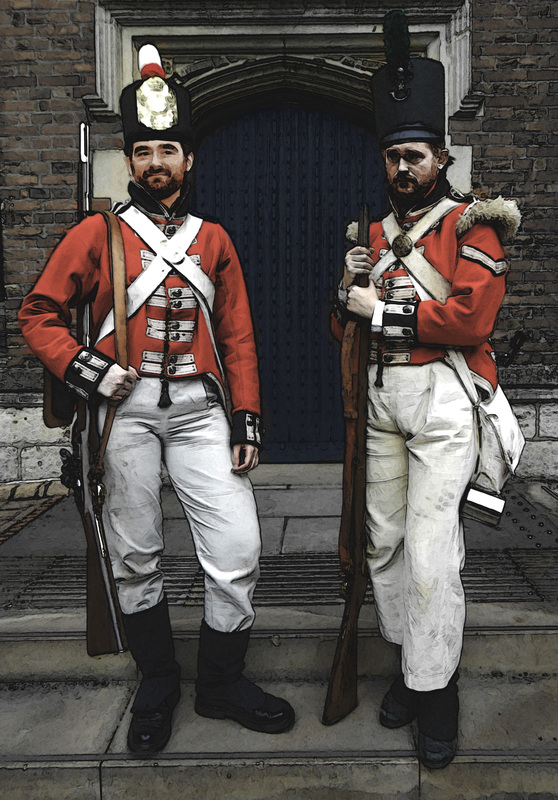 Before they were married, both he and his brother Edmund Northmoor took up commissions in the British army fighting against Napoleon’s forces. In 1811, Edmund returned, Nicholas having been lost in battle. At Christmas 1814, Nicholas returned unexpectedly, having spent a long time recovering after being rescued by Spanish sailors and suffering from delirium and fever. His driving mantra was to be home at Northmoor by Christmas, where he assumed Catherine was waiting for him. Arriving back at the house, he discovered that his brother Edmund had married Catherine in his stead, and they had two children, twin boys. Nicholas snapped, and in a fit of jealous madness stabbed Catherine. Edmund tried to fight him off, wounding Nicholas, but Nicholas knocked him insensible. Seeing that Catherine was dead and realising what he’d done, he blamed everything – including the death of his beloved – on his brother. He swore to destroy Edmund’s life as Edmund had destroyed his – he would destroy their children. He dragged Edmund down to the basement and walled his brother up, alive, behind brickwork in the cellar. The children’s wet nurse, Annie Bloom, saw and heard the commotion and Nicholas’s pledge and stole the children from the house, escaping with them to the local magistrate. The magistrates returned to Northmoor to find that Nicholas had laid Catherine in the ground under a tree in the garden and was weeping over her. They arrested him, sentenced him, and threw him into prison in London to await execution. In 1815 Nicholas was hanged, but the rope broke. He was returned to gaol, and then hanged a second time; this time the trap door failed to function. On the third attempt, the hangman suffered a fatal heart attack before operating the lever. Nicholas’s death was commuted to life imprisonment. During a bout of pestilence in the prison, Nicholas was the only prisoner to survive; a superstitious warder released him in 1816. Nicholas attempted to commit suicide a few times but fate intervened on every occasion. He became convinced that God had cursed him to live forever with his guilt. He fled, back to the sea, to get away from England and his guilt, and spent many years travelling obscure parts of the world. Nicholas discovered that he was immortal, and eventually, driven half-mad, became convinced that the only way to escape this curse was to carry out the letter of the oath he had sworn – to wipe out all Catherine and Edmund’s children. By 1954, Nicholas has killed a fair few of the family over the years, including those who have become the ghosts. Somewhat reluctantly, he’s spent a lot of time tracking down and wiping out far-reaching branches of the family. But he has suddenly discovered that time is against him; he faces the onset of a debilitating nerve disease. It won’t kill him, but it will imprison him for ever inside a useless shell of a body, never dying. So, in a last-ditch attempt to fulfil his oath, he’s gathered all the remaining members of the Northmoor family together (including many who don’t know they are blood relatives) and will attempt to wipe them out one by one. He has taken over the role of – and is masquerading as – Godfrey Northmoor (the Soldier ghost), and invited all his family to Northmoor House for Christmas. What Nicholas doesn’t know, and what the player characters have to discover, find proof of, and convince him of, is that the twin children of Catherine were actually his children, not Edmund’s – Catherine was pregnant when Nicholas departed for war, and Edmund married her on his return so that the children would not be fatherless. In fact, his brother was acting for the best. The curse is a product of Nicholas’s own self-conviction. When he accepts that it’s his own descendants he’s been killing, the curse will end.